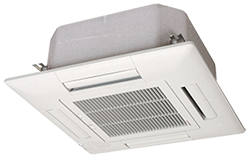 Indoor VRF - IAPL GROUP PVT. LTD.
MODEL NO : FDT28, FDT36, FDT45, FDT56, FDT71, FDT90, FDT112, FDT140, FDT160. INDIVIDUAL FLAP CONTROL SYSTEM : According to room temp. Conditions, four directions of air flow can be controlled by individual flap as preferred. 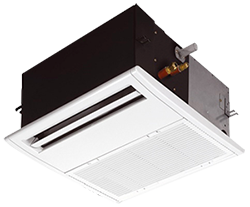 As individual flap contol is available even after installation, area became wider than before. INBUILT DRAIN PUMP : Water lift-up mechanism. 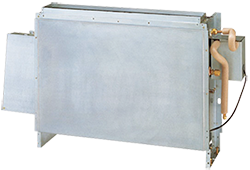 THINNEST DESIGN : Thanks to new design of heat exchanger from 2 parts to 1 part, the height of indoor unit is reduced drastically. 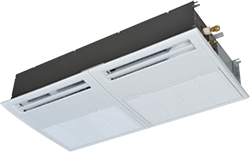 COMPACT IN SIZE – Corresponds with 600mm x 600mm architectural module ceiling design. TRANSPARENT ACCESS HOLE TO DRAIN PAN: Dirt condition of the bottom of a drain pan can be checked through this transparent access hole without removing drain pan. BUILT- IN condensate drain pump. 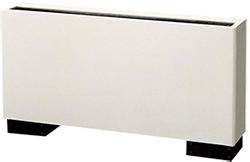 COMPACT IN SIZE – Height of the machine is 220mm only. REDUCTION OF SOUND PRESSURE LEVEL: 8 DB less noise than previous models. 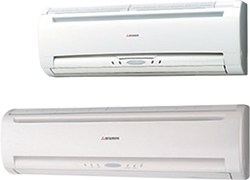 COMBINES FRESH AIR TREATMENT & AIR-CONDITIONING SUPPLIED FROM SINGLE SYSTEM Air conditioning and outdoor air processing can be accomplished using a single system COMPACT DESIGN: Design at just 360 mm in height & high static pressure of 200 pa. Connectivity with outdoor unit 8 to 48 HP. 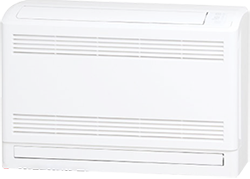 KEY FEATURES INTERLOCKING WITH AC IDUSUPERLINK CONNECTION AVAILABLE Connectivity with all MHI KX6 outdoor unit. 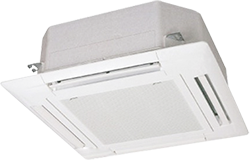 Return Air Temperature Control or supply air temperature control can be selectable.